Nyepi is a Balinese "Day of Silence" that commemorated every Isakawarsa (Saka new year) according to Bali's calendar. It is a day of silence, fasting, and meditation. 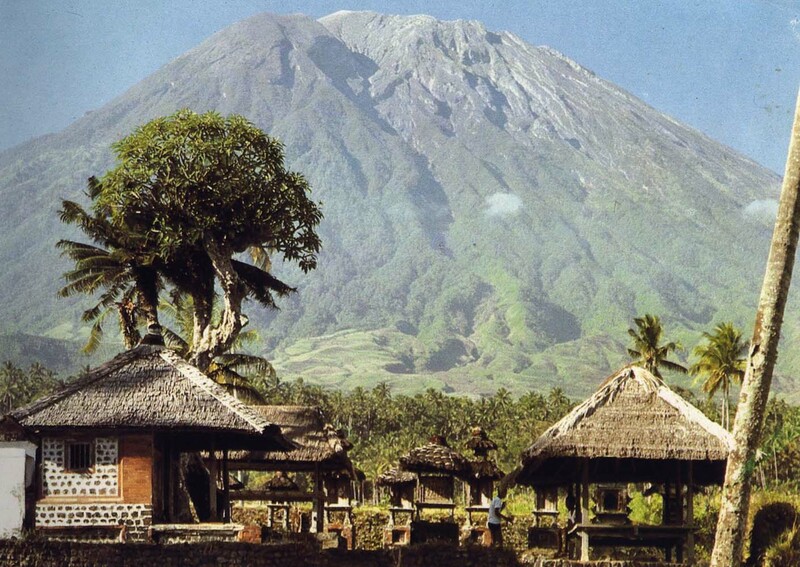 Celebrating the Hindu's New Year of Saka in Bali has the deepest meaning of all. After all the glitters and shower of light throughout the year in hundreds of places of interest in the isle, the call for reborn should come in quiet and peaceful rhyme. * First, The Melasti Ritual is performed at the 3-4 previous day. It is dedicated to Sanghyang Widhi Wasa and is performed at the beach to respect them as the owner of The Land and Sea. 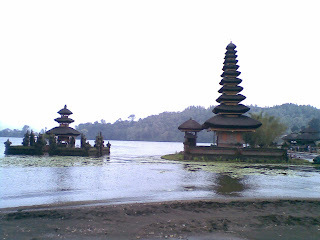 The ritual performed in Pura (Balinese temple) near the sea (Pura Segara) and meant to purify Arca, Pratima, and Pralingga (sacred objects) belongs to several temples, also to acquire sacred water from the sea. * Second, The Bhuta Yajna Ritual is performed in order to vanquish the negative elements and create balance with God, Mankind, and Nature. The ritual also meant to appease Batara Kala by Pecaruan offering. 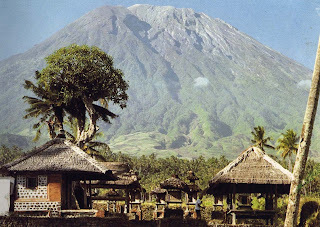 Devout Hindu Balinese villages usually make ogoh-ogoh, demonic statues made of bamboo and paper symbolizing negative elements or malevolent spirits. After the ogoh-ogoh have been paraded around the village, the Ngrupuk ritual takes place, which involves burning the ogoh-ogoh. * Fourth, The Yoga/Brata Ritual starts at 6:00 AM and continues to 6:00 AM the next day. * Fifth, The Ngebak Agni/Labuh Brata Ritual is performed for all Hindus to forgive each other and to welcome the new days to come. 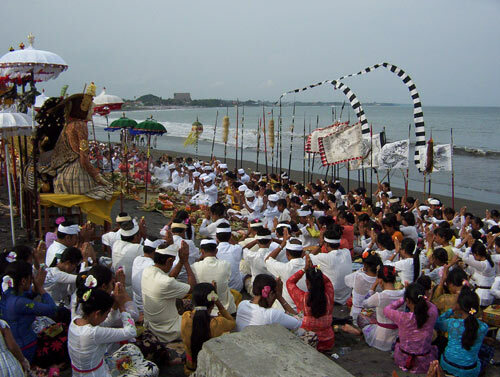 * Sixth and finally, The Dharma Shanti Rituals is performed as the Nyepi Day or "Day of Silence."